Singer Britney Spears is spending more time with her rumored boyfriend Sam Asghari. 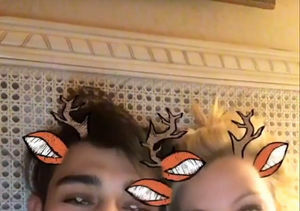 A week ago, Sam shared a cute Snapchat of himself cozying up to Britney in bed on Christmas. In November, rumors were swirling that the two were dating after Sam posted a now-deleted Instagram picture of himself with Britney.